The company’s origin was a confectionery and gingerbread bakery. Leupoldt Sossenkuchen existed, since the beginnings, too. 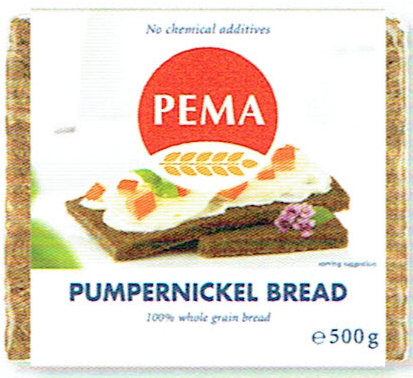 In 1950, Heinrich Leupoldt started off with baking whole grain bread and Pumpernickel. Heinrich Leupoldt came about this by a translation mistake. In Sudeten German a certain type of gingerbread was known by the name “pumpernickel”. The confectioner was informed about the sale of a gingerbread production site in Muenchberg, not far from Weissenstadt. He was astonished to hear about a gingerbread producer in Münchberg, for the first time. When he arrived on site there was not gingerbread to be found. Only dark, black bread: Pumpernickel. 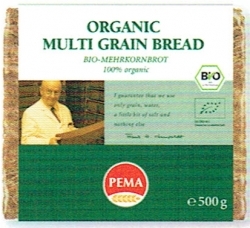 Heinrich Leupoldt, a pioneer, took the idea to Weissenstadt and started baking whole grain bread, in 1950. He chose PEMA for the name. In Tibetan, the name stands for “Lotus flower”, a symbol of purity and, hence a perfect name for bread lacking any additives and artificial preservatives. Since 1960, Franz Leupoldt leads the company, in 3rd generation. With his technical know-how he developed the automated packaging system, typical for PEMA -bread. His wife Dr. Laura Krainz-Leupoldt established the company, in the international market. Founded in 1905, PEMA has grown from a small craftsman-company into an internationally successful corporation. Much has changes, apart from 2 things: PEMA remains a family owned business, since 100 year and PEMA still bakes according to the old family recipes. A whole grain rye bread with 5% flaxseed. Whole grain rye and flaxseed are the basis for a fine-tasting recipe with a hearty, aromatic flavour. 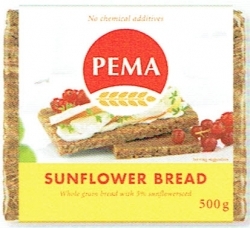 Gluten-free rice bread with sunflower seeds. 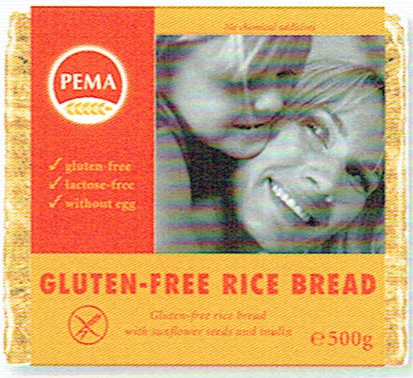 This tasty rice bread, free from gluten, is baked from freshly milled, whole grain rice. Whole grain rice contains the germ and the aleuron layer, making it particularly rich in vitamins and minerals. A whole grain bread with natural anti-oxidants from the grape seeds. 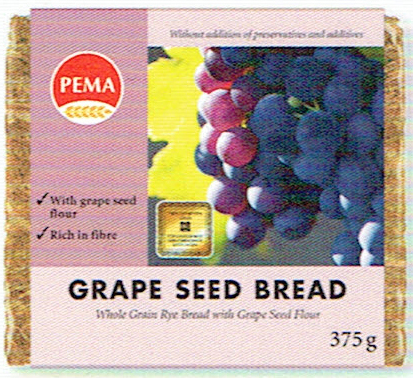 Grape seeds contain polyphenol, which positively influences the skin and protect Elastin- and Collagen-fibers. It also supports the resistance of the vasculature. 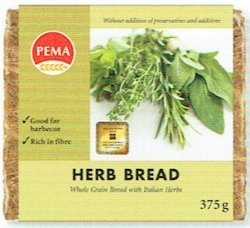 Italian herbs lend this whole grain bread a Mediterranean touch. It is high in fibre and refined with wheat germs. It is particularly suitable for BBQ`s. 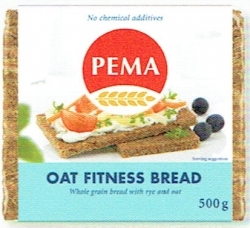 An oat-based, whole grain bread. 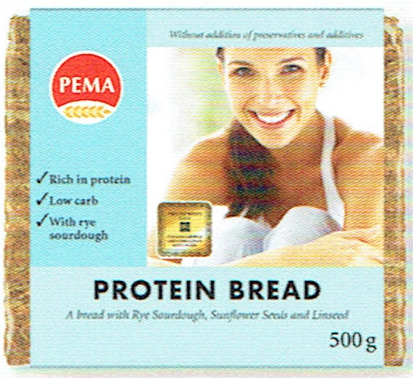 Rye, oats, wheat germ and sunflower seeds give this whole grain bread its special taste and high nutritional value. The oats and wheat germ make this bread particularly rich in protein. SPELT BREAD - 100% organic. This is a a whole-grain bread speciality from freshly milled spelt and natural sourdough – a very special experience in taste. 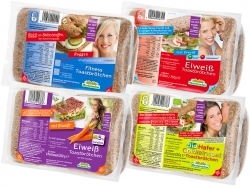 As for good digestibility very often the primitive grain spelt is the right choice. Of course we only use sort clean spelt from organic farming. RYE BREAD - 100% organic. We are baking this whole-grain bread with 100% rye from organic farming, cultivated at short distance from our bakery. We only use natural sourdough prepared according to the traditional method which provides a special aroma and benefit for a healthy nutrition. It is hearty aromatic - a baker`s masterpiece. A unique soak procedure provides the high bioavailability of minerals and trace elements. WHOLE REY OAT BREAD - 100% organic. We are baking this whole rey oat bread with 100% rye from organic farming, cultivated at short distance from our bakery. We only use natural sourdough prepared according to the traditional method which provides a special aroma and benefit for a healthy nutrition. It is hearty aromatic - a baker`s masterpiece. A unique soak procedure provides the high bioavailability of minerals and trace elements. A protein-rich sourdough bread with sunflower seeds and flaxseed. PEMA Protein Bread is rich in protein and it contains approx. 60% less carbohydrates than a comparable whole rye bread. The traditional delicacy bread. Made only of rye, water, salt. 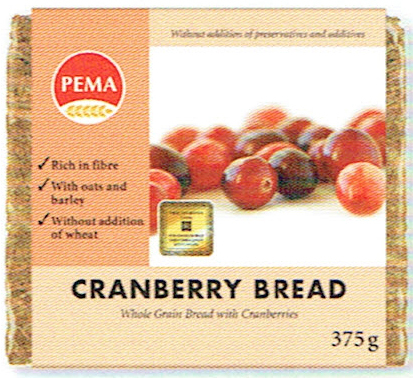 Its distinctive colour and flavour are achieved through the 20-hour baking process without any sweeteners or artificial colours. Tasty, grainy and light. A traditional delicacy light whole grain rye bread. The authentic whole grain rye bread only with rye, water and salt. Tasty and grainy. The authentic whole grain rye bread only with rye, water and salt.